Who doesn't love a good scream on Halloween? Or perhaps you'd prefer a peek into your future with fortune tellers and tarot card readings, or to gaze at beautifully carved pumpkins and scary Halloween costumes? Here's a list of fun, and sometimes terrifying activities to enjoy while hanging out in the Hudson Valley on Halloween weekend. 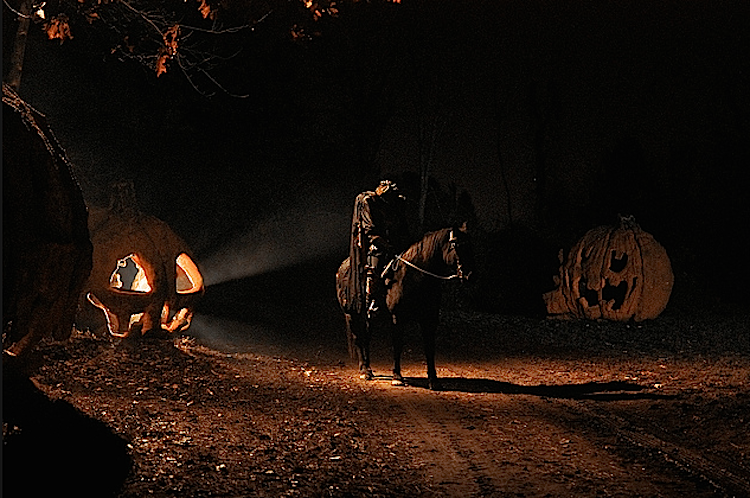 Headless Horseman Hayrides and Haunted Houses is a unique, immersive experience with a theme that changes each Halloween season. Part of the Historic Haunted Hudson Valley, this 250-year-old farm incorporates over sixty-five acres of naturally landscaped property including foreboding woods, surreal ponds, fruit orchards and more. Come if you dare and experience a theatrical one-mile hayride, corn maze, and interactive entertainment with a real life escape experience called "The Great Room Escape". And, as if that’s not enough! There are seven haunted attractions including: The Lunar Motel, Glutton's Diner & Slaughter House, The Horseman’s Tomb, Dark Harvest Corn Maze, Night Shade Nursery & Greenhouse, Dr. Dark's Black Spider Circus Sideshow, The Feeding presents “The Pain Killer”, and Two Raven’s Manor with skilled stunt actors and a magic-illusion side show starring Ryan Dutcher. October Friday - Sundays. Not to be missed! You will not let go of your partner's hand as you stroll through 8 rooms of unnatural barn frights, the double-dare mineshaft and your introduction to the Kobbe family. Oh, and be on alert when you are near the Freaks of Cornville and the shocking Silo! Scary treats for everyone. Food and refreshments available. Every Friday - Sunday, September 30th - October 30th @ 7PM (until no bodies are left). 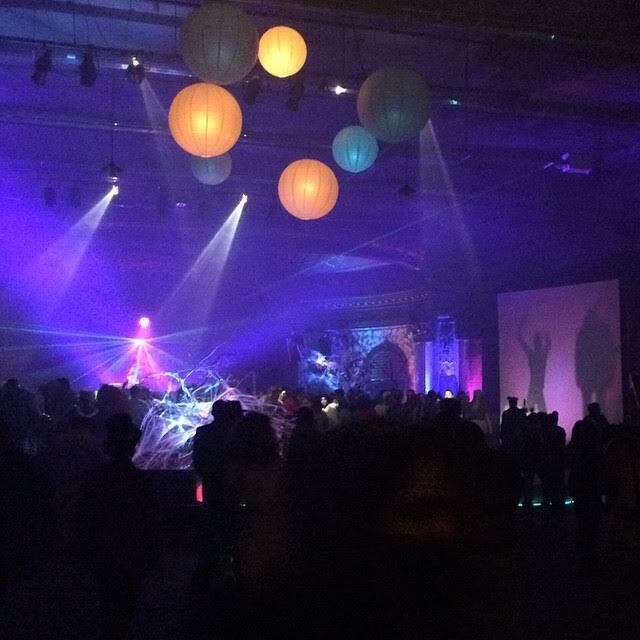 On Saturday, October 29th from 9PM - 2AM don your costumes and rock out at the Hudson Valley’s biggest and wildest Halloween dance party: #CHRONOWEEN at BSP! Shimmy and shake with fellow night owls in the historic (and haunted) back room theater for a massive DJ dance party, costume contest, Haunted Haus tarot fair, Photo booth, food courtesy of PAKT and more! 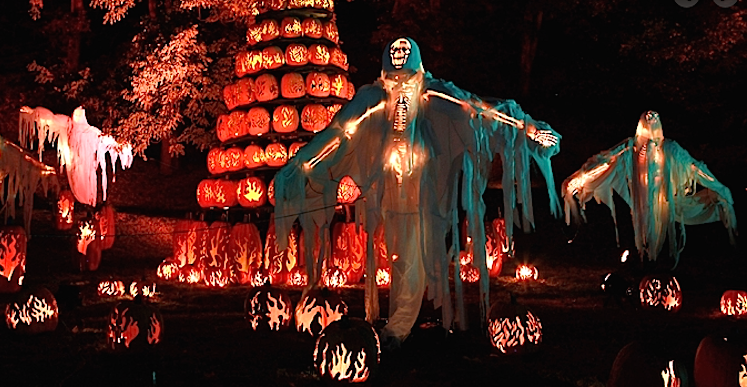 You'll squeal with delight in this elaborate, hugely popular walk-through experience with more than 7,000 illuminated jack o' lanterns, slithering snakes, a working doomsday grandfather clock, elaborate Celtic knot carvings, creepy cool cats, and comical, squash-eating Venus pumpkin traps are just some of the pumpkin treasures you’ll find. 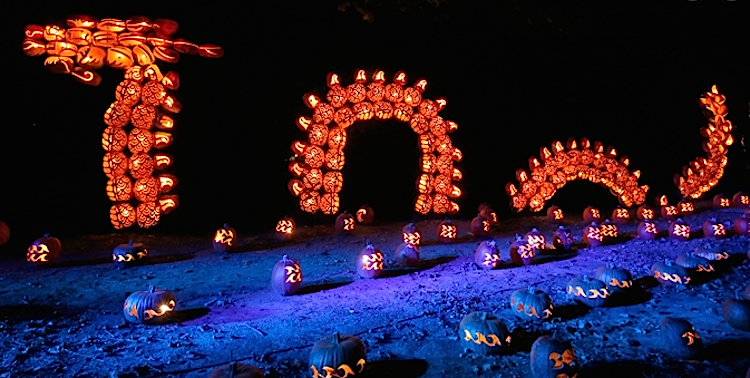 Wander along main street Pumpkin Promenade and stroll across the new Pumpkin Zee Bridge. Gaze in wonder at swimming aquatic creatures and gasp at the sight of a giant Sea Serpent surfacing next to the Croton River. Get mesmerized by a color-changing star show in the plus-sized Pumpkin Planetarium and more! September 30th - November 13th. For a more subdued venture, this Halloween open house is a special two-day event October 29th and 30th, 11 AM - 8 PM. 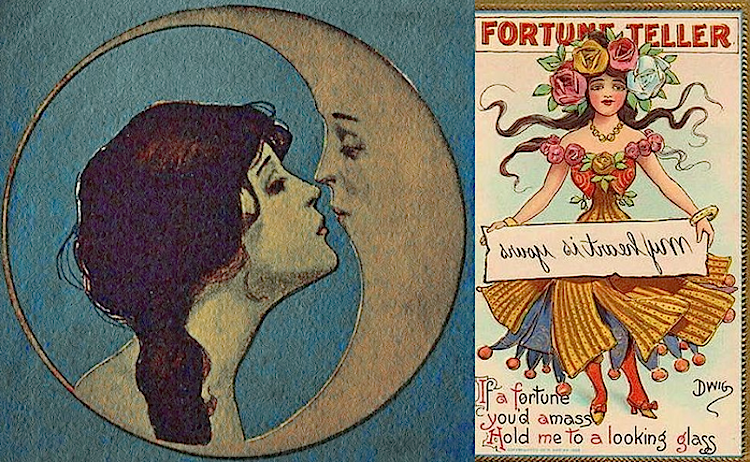 Get ready for a little psychic fair full of great energy and great people. With Fall tea samplings, tarot card readings, free divination workshop, mini Reiki energy sessions, and more. 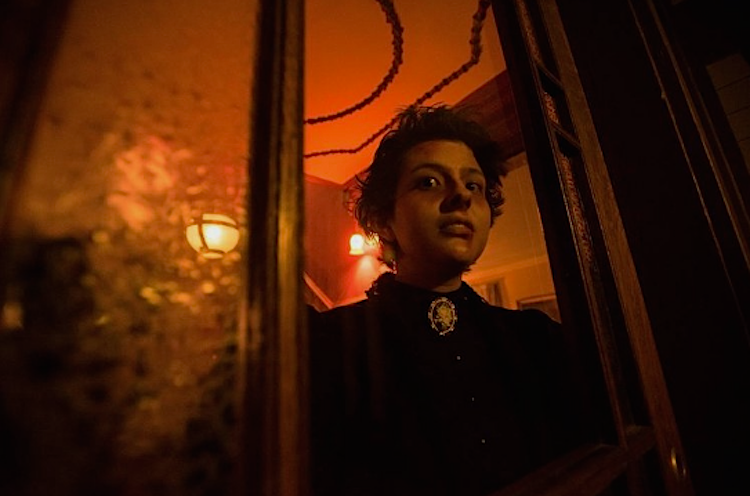 It’s time for the Haunted Huguenot Street Halloween Fest where guests explore four historic houses while exploring the history of oppression, particularly in the case of oppressed women in the 17th through 19th centuries. Guests will bear witness to the legendary true story of a tormented mother and an unorthodox macabre wedding ceremony, while also learning about sexist witch trials, kidnapped wives, mourning brides, and the curse of infertility. Haunted Huguenot Street PG13-rated tours will depart from the DuBois Fort Visitor Center (81 Huguenot Street) hourly beginning at 5 pm, with the final tour leaving at 9 pm. Pre-registration is strongly encouraged as tours sell out quickly. Friday and Saturday for three weeks: October 14 – 15, 21 – 22, and 28 – 29.